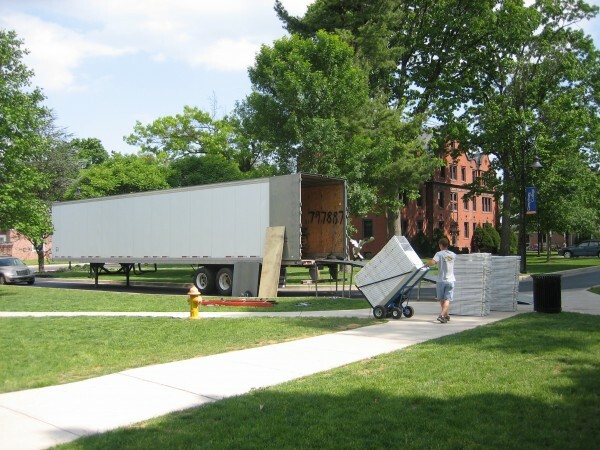 College housing shortage leads to additional trailers | The Gettysburgian. It is spring, and that means Gettysburg College students are participating in a competitive process that many have dubbed Hunger Games: Housing Lottery Edition. With lower and lower participation in Greek Life every year and next year’s First Year class predicted to be bigger than ever, the housing lottery has proven to be especially terrible this year. The student wanted an apartment in Apple but found that all of them w e r e quickly filled up by students with higher lottery numbers, leaving nothing left for his group to select. “When I opened up the housing selection system and saw there was nothing left, we laughed, and then we cried. We mostly cried,” the student said. Current First Years are in even more dire straits, as the number of rooms left on campus continues to dwindle and the size of the incoming First Year class continues to grow. With the Class of 2019 predicted to be the biggest First Year class ever, more members of the Class of 2019 than ever will have to be housed in Musselman. With many rooms in Musselman spoken for by next year’s freshman class, and other rooms on campus all but sucked up by upperclassmen, that begs the question: where are the rising sophomores going to live? “It’s a problem,” a member of the Office of Residential and First Year Programs staff said, “We don’t know where to put all these people next year.” Will this mean the return of the much loathed trailers to house the overflow of students? “I don’t want to speculate on whether or not rising sophomores are living in trailers next year…but they are living in trailers next year,” she said. Many members of the current First Year class are concerned about where they are going to live next year, and for those not lucky enough to score a spot in the trailers, options that are being talked about to house students include tents on M e m o r i a l F i e l d and a premium laminated cardboard box offering located on Stine Lake. In an attempt to ignore the problem entirely, the Office of Residential a n d F i r s t Y e a r P r o g r a m s has decided to delay giving r i s i n g s o p h o m o r e s t h e i r lottery numbers for as long as possible. The Class of 2018 was supposed to receive their lottery numbers on Monday but they never came. W i l l t he numbers be released on April 6 ? Will rising sophomores be forced to live in a cardboardbox next year? I t will all be determined live on April 14 as the Annual Housing Lottery continues!